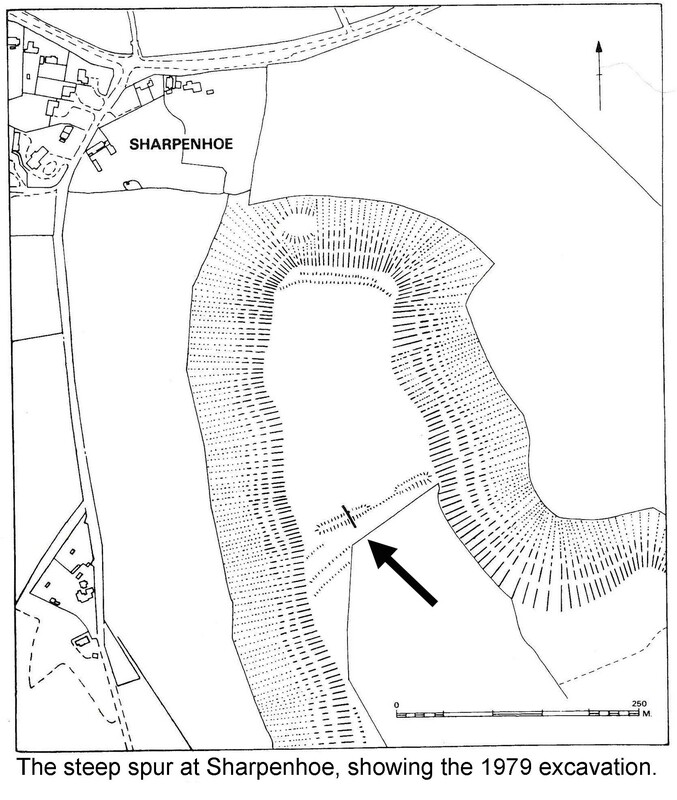 Sharpenhoe: Iron Age fort or rabbit warren? The spur of land known today as Sharpenhoe Clappers would seem an ideal site for a hillfort. It is protected on three sides by slopes that fall steeply for 50 metres, and on the fourth – south – side by a gully and earthbank which cross the spur from one side to the other. This might easily have once been surmounted by a high wooden palisade. If it weren't for today's heavy tree cover, the spur would command a wide view to the north across the plain of central Bedfordshire. Sharpenhoe is on the easternmost end of the Chilterns escarpment, five miles north of Luton and one mile from Barton-le-Clay. Perhaps an ideal site... except that the evidence indicates that it wasn't a hillfort. In 1874 Sharpenhoe Clappers was defined as an Iron Age camp because it had what seemed to be a rampart built across a narrow hill promontory. But the Active Archaeology Group's surveyors found no evidence of ditches or embankments on the other three sides of the hill, and little if any for settlement platforms on the hilltop. The site also has no water supply, which would have been a problem if a ‘fort’ there was to withstand a siege. A 1979 excavation trench cut through the earthbank that crosses the spur revealed that this was in fact constructed as a rabbit warren. The excavation report concluded that the name ‘Clappers’ derived from extensive rabbit farming between the medieval period and the 17th century. The Middle English word ‘clapere’ means ‘warren’. Fragments of Iron Age and Romano-British pottery were found, but no sign of the substantial ramparts required to qualify Sharpenhoe as an Iron Age hillfort.